Losing a child is a trial like no other. There is no one set way to grieve. There is no one way to carry on. In this special post, Heather Speakman, shares part of her family’s journey after the loss of her daughter, Madison. If you’re here for sunshine and rainbows, I hate to break it to you, but you’re in the wrong place, for today’s blog anyway. I’ve always felt compelled to be completely honest about Madison’s journey – the good, the bad, the ugly – so naturally this will be no different. I’ve heard people talk about the “fog” that comes with losing a child. What they don’t tell you is that the fog comes and goes, or at least in my experience anyway. Sometimes, I feel like I need to be pulled back to Earth. Erik and I were driving back to Ronald McDonald, after we said goodbye to Madison, and we cried the whole way there. I remember being in a state of total shock, denial, and panic all at once. I couldn’t believe my baby was gone, she’s not coming back, and my mind was running a million miles a minute. I started thinking of all the things I would never get to see her do, milestones that I was robbed of. I’ll never get to use those baby clothes and blankets everyone sent, I’ll never hear her brother and sisters yell her name, I’ll never get to see her grow up, I’ll never see Erik walk her down the aisle. I will forever have a emptiness that only she could fill. It was so surreal. I was having an out of body experience, there was no way this could be my life. I didn’t want to accept it. I was trying so hard to be “normal” Heather, and I realized that NOTHING about this is normal. So I said to myself, “You act how you want to act and feel what you want to feel. The people who love you will understand and be there for you, whatever that may look like, they will be there. Anyone else that doesn’t like it can go fly a kite.”(That’s the PG-13 version). I’m fortunate enough to have a whole gaggle of people who get me, and that is NOT an easy task. Sometimes all I have to say is that I’m having a “Madi day” and they understand. Shot out to the people who would let me snap and not hold it against me, y’all are the real MVP’s. There are days when I feel like my heart is going to explode, and I cry until I can’t catch my breath. There are days when I miss her so much I want to scream. Sometimes, I don’t want to function, but I do it for my living children, even though I feel like I’m failing them the most. There have been times where I see someone with their judgy eyes and think to myself, “say something, PLEASE! I would love to give you a piece of my mind, let you know that you have NO IDEA what I’m going through.” I’d love to tell that that I may look like a “normal” person, but it’s taking everything I have to not fall into a puddle on the floor. There are days I want to tell the world about my amazing daughter, shout it from the rooftops that she was a fighter, that she made people believe that anything is possible. I want a shirt that says, “I have a daughter, she had a heart defect, she was only 6 weeks old, I miss her.” Maybe then I would have a reason to bring her up in every conversation I have. You know I’m desperate when I tell bill collectors about her. There are also days where I feel like people don’t have the privilege of knowing about her, if that makes any sense. It really depends on my mood and if I think they can take it or not. For example, I’ve been apartment hunting, and the question “What brings you to Colorado” always comes up. If you’re being a jerk, I tell you that my husband got a better job here. If you’re super sweet and I don’t think you’ll cry harder than me, I’ll tell you that I had a heart warrior and she’s not with us anymore. It’s one of my weird “things” I guess. In the midst of the really ugly, hard days I also see a different beauty I never would have known. A friend of mine told me that I would love harder and more, man was she right. I loved kids before Madi, but I often find myself staring at kids and how cute they are, hopefully their parents don’t think I’m being weird. 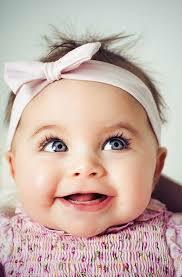 I want to squeeze all the babies, I mean every single one! I see my friends with their little ones and know that Madi is looking over them. I’ll forever spend my life on a different level, with a piece of my heart in heaven. I have a bigger level of empathy, and I thought I was pretty empathetic before. I see a waitress struggling to remember an order and give her a bigger tip, write a note on our check to tell her about Madi. It’s my way of telling people about her without saying too much. We went to eat one day, and I paid for two guys’ food, told them about Madi and said it was from her. They hugged me, and said they would be praying for us. Having our other children around make everything better. I don’t think I would take a shower some days, if it weren’t for them. Tristyn is a typical teenager, doesn’t say much but will give me a look, and I know that she’s missing her. My heart breaks for Gage the most, my sweet innocent little boy doesn’t understand that sister isn’t coming home. The day he came up from Albuquerque, he mentioned buying a present for Madison, and Erik and I lost it. We explained to him that Madison wasn’t coming home and that she went to heaven with everyone else we loved. He ran away, cried, and hid underneath the covers, I knew exactly how he felt. Before Christmas we would go to the store, and he would ask to buy her a present, oh man that wrecked me. He asked Erik one day if we were still going to have a Christmas, talk about gut wrenching. Hayden is 2 so she doesn’t really understand any of it. We talk about Madison, and she uses her blanket, always making sure I know that it’s “Madsun’s bankey” not hers. Erik and I are irrevocably changed, as husband and wife, as mother and father, and as individuals. We’ve been together almost half our lives, and I think it’s fair to say that we’ve been through IT. Erik often jokes that our life could be a sad country song, hell at this point it’s a whole album. I thought that we were done with storms, but the truth is you’re never really done. There’s always going to be storms, it’s called life. All I care about is having a man by my side who isn’t afraid of weathering the storm with me, every single one. Erik is everything I need and more. I am so blessed to have someone to share my grief with, and we will get through this TOGETHER, like we always do. There are times when I look up at the sky, smile ,and say, “I see you baby girl.” I know she’s everywhere, watching out for us. I miss her so much my chest physically hurts. I find a small comfort knowing that she has a whole bunch of people loving on her in heaven, but sometimes it isn’t enough. Sometimes even though you made the right choice it still isn’t enough. Even if you knew during pregnancy this was always going to be the end game it doesn’t make it easier. Heather has been married to her high school sweetheart for 13 years. They have four kids Tristyn 13, Gage 5, Hayden 3 and Madison is their heart baby, who passed away at 41 days old. 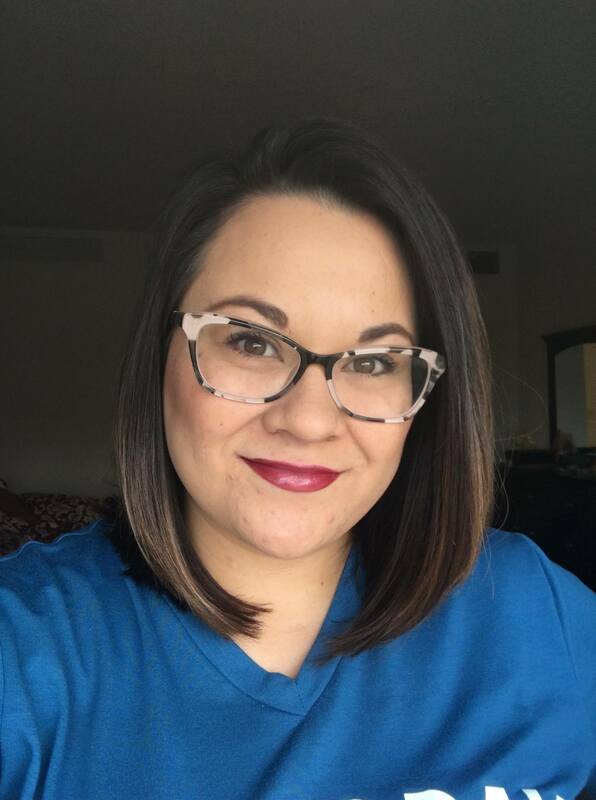 Since Madi died in November of 2017, Heather has dedicated her life to contributing to causes that helps families like hers, including PCHA, and sharing Madi’s story any chance she gets. In the final week of our October theme, we hear from Dr. Gurvitz, who explores the many different options that women with CHD have, when they are thinking about starting a family. As both a pediatric and adult congenital cardiologist, I have learned to care for all ages of patients in many different circumstances. 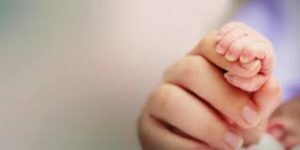 As part of the focus on women with congenital heart defects (CHDs), I thought I would briefly share with you the stories of 3 young women seen in my clinic recently who were all considering starting families of their own. First, meet Jane. She is a 26 year old woman with a single ventricle and a Fontan procedure who felt well and came for pre-pregnancy counseling and didn’t realize her oxygen saturation of 85-88% would be a concern when carrying a pregnancy. Next, meet Alison. She is a 35 year old woman with tetralogy of Fallot referred back to clinic by her obstetrician after a 10 year gap in care as she is now pregnant in her second trimester. Third, meet Barbara. She is a 31 yo woman with shone’s complex, a mechanical aortic valve on blood thinners and moderate pulmonary hypertension who is concerned about the risks of pregnancy to herself and the baby. The incredible success of pediatric cardiology and cardiac surgery over the past decades has resulted in excellent survival to adulthood for children with CHDs. For many young women with CHDs, with age comes the potential for pregnancy and the questions of can I have children? Do I want to start a family? What are the risks to me or my child? Will I be healthy enough to parent and to live to see him/her grow up? Many of these women will also not necessarily know where to turn for the answers, especially if these topics have not been touched upon in the teen and young adult years. Do they ask their parents? The adult or pediatric cardiologist? The obstetrician? Or do they seek answers on the internet or in social media sites? In my practice, I have found that the answer is typically ‘yes’ to all those avenues of information or a resounding no because people are either overwhelmed or completely unaware that the heart condition may be a factor in pregnancy. While the women in the stories above and the many others that present considering starting families are different, the message we can send as healthcare providers, friends and family can be remarkably similar. That message starts with building your team before you get pregnant. The healthcare team typically consists of your congenital cardiologist (pediatric or adult congenital or both), a maternal-fetal medicine specialist (also called high-risk obstetrician) and an OB anesthesiologist (usually works with the OB team). This team of physicians can help the woman understand her heart condition, how the heart condition and pregnancy interact for both the mother and the baby, and how best to manage the delivery in the most optimal way. The team should also be able to review other options for starting a family such as adoption or in-vitro fertilization and surrogacy. It is best to assemble this team prior to pregnancy to ensure that the woman’s health status is the best it can be and to review expectations for the pregnancy and post-partum time as much as possible. This might include timing of monitoring during pregnancy and after, and the need for fetal echo-cardiogram screening for the baby. For many women with CHDs, this pre-pregnancy evaluation will result in a ‘green light’ to proceed. 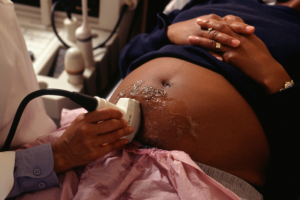 However, for some it will mean further evaluation or procedures prior to pregnancy. Others may decide that the risk and physical toll of carrying a pregnancy to themselves or the baby is higher than they would like to take, even if pregnancy might be possible. My recent clinic patients are a good example of the multiple paths that can materialize. Jane had a full cardiac evaluation and underwent a heart catheterization procedure that improved her oxygen saturation to the mid-90s. This will lower the complication risk for her and a future baby. She and her husband have consulted with the maternal-fetal medicine specialists and, while carrying a pregnancy with a Fontan circulation can have complications, she is otherwise doing well and they are now planning a pregnancy. Alison underwent full cardiac evaluation and was found to have significant pulmonary valve disease but was tolerating it well. She did well with the pregnancy and is now recovering and raising her baby. Now that she is no longer pregnant, she will undergo further testing to determine if she will need an intervention for her valve. Finally, Barbara completed her cardiac evaluation and also consulted with maternal-fetal medicine. 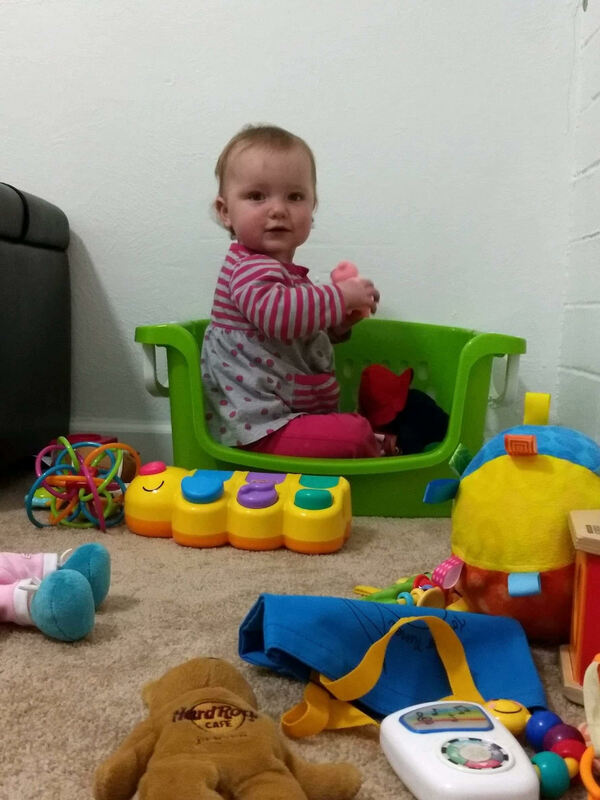 She and her husband decided that the risk to her and the developing baby due to her underlying condition and medications were more than they wanted to take. They decided to start their family using IVF and a surrogate and she underwent successful egg harvest under the close team care of reproductive endocrinology and cardiology. In summary, the large majority of women born with CHDs will survive to adulthood and many will consider starting families of their own. Most of these women will be able to do so successfully either through pregnancy or other means. As an ACHD cardiologist, this is one of the most moving and personal journeys we take with our patients. For the women with CHDs, staying in care and forming a team of congenital cardiology and high-risk obstetrics is key to understanding the risks and expectations for starting and raising a family and to be able to make informed decisions. Dr. Gurvitz is a pediatric and adult congenital cardiologist practicing in the Boston Adult Congenital Heart program at Boston Children’s and Brigham and Women’s hospitals. She did her training on the west coast in the UCLA healthcare system for medical school, residency and fellowship. She also has a Master’s degree in Health Services from the UCLA School of Public Health. 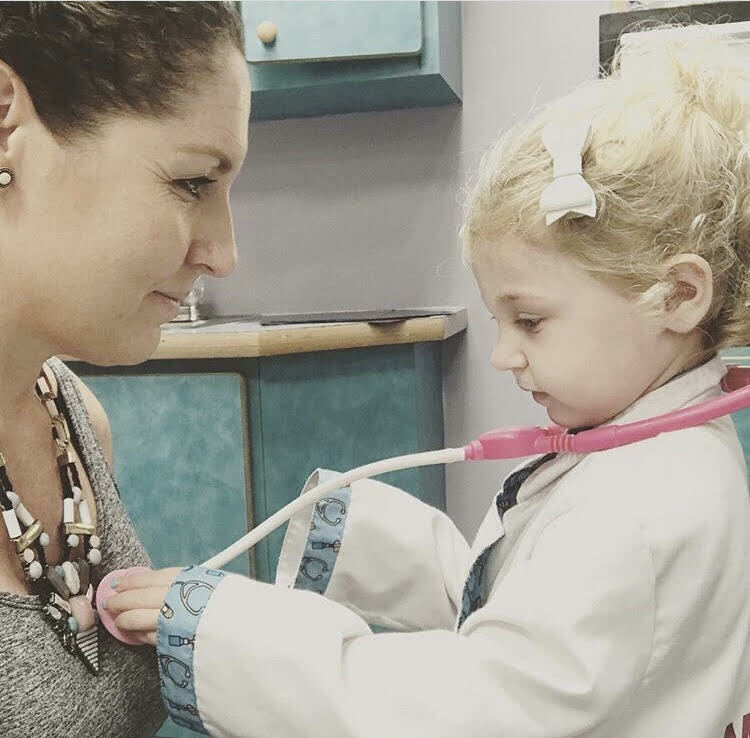 She spends most of her time in inpatient and outpatient clinical care of adults with congenital heart disease and doing research regarding public health aspects of congenital heart disease including epidemiology, quality of care, and transition from pediatric to adult care. 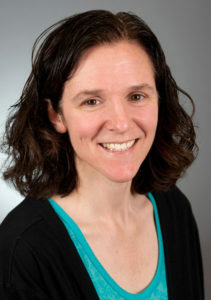 She has NIH funded grants to study psycho-social and cognitive outcomes in adults with CHD. 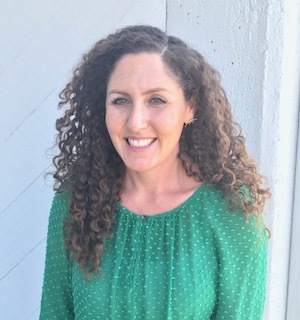 Dr. Gurvitz also serves as vice-chair of the Congenital Heart Public Health Consortium and immediate past chair of the American Heart Association Adult CHD committee. During her free time, Dr. Gurvitz loves to practice the art of cooking, and training to be a triathlete. This week we are continuing to explore the challenges of pregnancy for women with CHD. Today we will hear from Deanna, a heart warrior, who discusses the complications of pregnancy. However in the end, it was all worth it. Like so many women with Congenital Heart Disease (CHD), I have been told many things about pregnancy and risk throughout my life. I was fortunate to have never been told pregnancy was out of the question for me. I had just finished graduate school and was working as a Speech-Language Pathologist, when my husband and I learned I was pregnant. I was living in Albany, New York during my pregnancy and my cardiology provider was located back home in Maryland. I was fortunate to have grown up in the Washington, D.C. metropolitan area and had access to an exceptional pediatric cardiology group who had followed me since I moved to Maryland at eight years old. My main provider is an adult specialist within the pediatric group. I called the nurse practitioner (NP) line at my CHD provider’s office to inform them I was pregnant. I was initially met with shock by the NP. This caused me to panic slightly. Once she got over her shock, she was able to discuss a game plan with me. I was to immediately locate a high-risk OB. The words “high-risk” resonated deeply with me. It had been 19 years since my last open-heart surgery. For 19 years I lead a life relatively unaffected by my CHD and although pregnancy had been discussed vaguely with providers in the past, no one explained the “risks” involved in detail. I only saw my cardiologist once a year, and every other year I participated in a stress test. 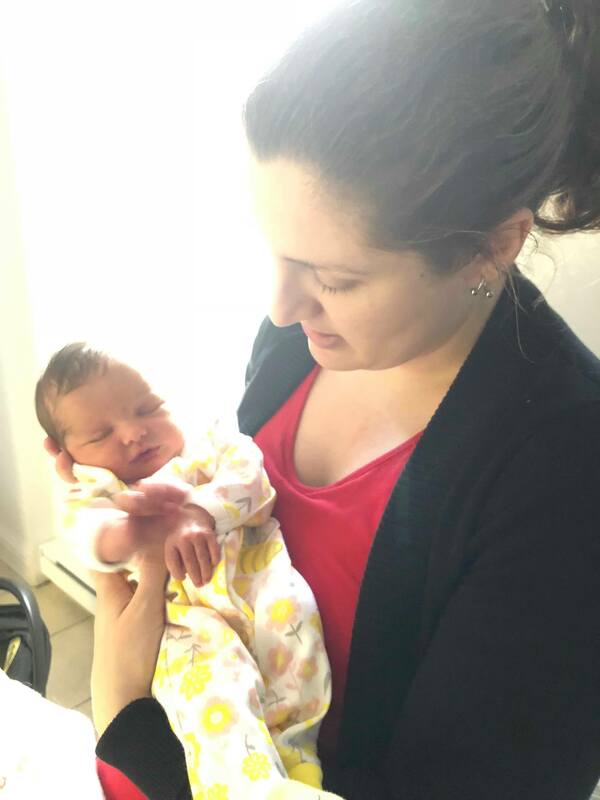 I was fortunate that my cardiologist had trained at the facility where I would deliver my son and was familiar with many providers in the Albany area who would be involved in my pregnancy and delivery. I connected with the OB practice associated with the hospital and the journey of bringing my baby into the world had begun. I was tracked by my OB every week, and then gradually two to three times a week towards the end. I visited with the cardiologist on my new team once during each trimester. I was elated to encounter no difficulties in relation to my heart during my pregnancy. The head of the cardiology department at the hospital performed my son’s fetal scans. I was always told that my child would have a 25% chance of having CHD (same percentage for my siblings, who are heart-typical). I cried happy tears when the echocardiogram and EKG all yielded normal results. Normal- my baby was going to be normal. I felt so much relief for the physical hardships he would never have to endure. His heart would not endanger his life. He would not have a scar to be self-conscious of, that people would question or stare at. He would not have physical restrictions in athletics. He would thrive, he would have endurance, he would be normal. I cried for myself a little at that appointment too, remembering the stories of the sick baby I was. I was 13 pounds at 13 months old. I slept 20 hours a day. My mitral valve leak went undetected for the first year of my life. However, an ultrasound tech had detected something was wrong with my heart, but my mother’s practitioner disagreed, and the issue was dropped. Alas, I felt grateful to be in the hands of someone who was beyond competent in interpreting the results of the scan. I trusted this provider and took peace in normalcy. Due to my high-risk status, I was on a strict diet and was only allowed to gain 20 pounds during my pregnancy. At the start of my pregnancy, I was already considered obese by medical standards. I was 170 pounds and 5’0” tall. September came, and my son’s birth was nearing, and I had thankfully only gained 18 pounds in total. The medical team had decided that I was to be induced and a date was scheduled. In many ways, I was both thankful and resentful for this type of medical control. I wanted to experience going into labor naturally and felt robbed of this opportunity. To decrease chances of elevated heart rate and stress on my heart, I elected to receive an epidural. The head of the anesthesiology department was following my labor and delivery, as was the head of cardiology, and the head of OB for the hospital. I felt safe and well cared for. A week before my induction, I met with the director of the Anesthesiology department to discuss the upcoming procedure. He would be the one placing the epidural and this set my mind at ease. On the date of induction, I was instructed per standard protocol to arrive at the hospital having stopped all food and drink at 12 pm that day. I did binge on Indian Buffet for lunch that day, oh yes. My induction process started on a Monday evening. It was the first time since I was six and a half years old that I was an admitted hospital patient. A flood of memories and emotions rushed back to me. Suddenly, I felt scared of people coming in and out of my room. Like many women with medical conditions, the birth plan that books encourage you to make was out the window. I was going through the motions. At the same time, I was overwhelmed with the details and the waiting. The hunger was intense, as well. I was being monitored very closely as the team was preparing for the worst-case scenario: an emergency C-section. Thus, I was left over 9 months pregnant hungry and thirsty. I remember begging for food. The first night I was in the hospital, I was placed on IV fluids and the practitioner prescribed Cervidil to start the process of labor. I barely got any sleep because of all the routine checks and the monitors. I was strapped to a heart monitor and a blood pressure cuff that remained on my arm for days and would take my blood pressure throughout the hours. As I was hooked up to the monitors, somehow functioning on even less sleep and no food, I felt a pang of jealousy. I was jealous of the women healthy enough to have home births or even the women who were able to show up to the hospital in labor and deliver the same day. On Tuesday, the head of the OB department came to check on me. He wanted to allow a few more hours for the Cervidil to dissolve. I told my husband I felt that the pill was accomplishing nothing. I begged the doctor for some food. I was given some broth that had the most minuscule amount of meat fat but I felt so much satisfaction consuming that. The day rolled on and still nothing was happening. There was no change and the medical team decided to let me wait a little longer. This meant more ice chips and Italian Ice, but nothing solid. On Wednesday, the head of the Anesthesiology department came to tell me that my Epidural was scheduled midday. I was administered the Pitocin drip to help move the process along. All the doctors who checked in on me were cautiously optimistic that I would deliver naturally. There was fear still surrounding the possibility of an emergency C-Section. This was something I absolutely did not want and expressed this several times. The Pitocin had its way with me and caused me to become severely nauseated. I dry heaved the smallest amount of substance in my stomach. I had only thrown up less than five times in my first trimester, and other than that this was a nonissue during my pregnancy. Throwing up on an empty stomach was miserable. The pain became excruciating. Contractions are the kind of pain that leaves a memory in one’s body. Intuitively, I knew this. I also knew this wasn’t my first time experiencing intense pain. I remember waking up after my Mitral Valve re-repair surgery, at age six and a half, and saying, “I feel like I got hit by a train.” As an adult, I must laugh about this description. It is cartoon-ish, but the best and most accurate descriptor my language could provide at that time. This pain brought no words to mind, in fact the words were gone. There were guttural sounds emanating from my mouth. A voice that I didn’t recognize. I remember the terrified face my husband made as I cried out. The nurses rushed in to tell me to relax because I was setting off the heart monitors. The noise they were making didn’t register with me. My breathing was becoming erratic, that was something that I did notice. I was encouraged to get up to use the bathroom before my epidural placement. I needed assistance with all the wires to get to the bathroom and was able to get some relief. There wasn’t much to get rid of since I hadn’t been eating solid foods, however. After returning to my bed, the nurses placed an oxygen mask on me to help stabilize my breathing. The OB came to check on me and was concerned that my water had not broken. He was saying that he would have to break it soon if it did not break on its own. I was afraid of any extra procedure. I was starting to feel a heightened sense of danger. It was difficult to express these fears to anyone, because logically I knew I was receiving the best of care. I felt like I had lost control over my body. Shortly after the OB’s visit, the Anesthesiologist arrived to administer the epidural. Coolness. I have historically been a model patient having been raised in the medical system. Needles never gave me any grief. The epidural was no different. It took away the pain very quickly. The relief I felt was like noise cancellation headphones in a loud space. I could breathe again. My heart rate stabilized. 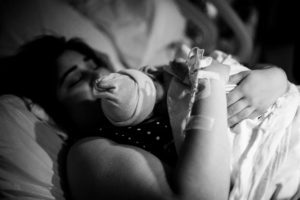 I laid back in the bed and could still feel the pangs from the contractions, but the pain was missing. For some moments there was bliss. Then there was a rush of wet, at about three o’clock in the afternoon. I was horrified that I had urinated on myself. I started screaming again and a nurse came in. She said, “Congratulations, your water broke!” The contractions were still quite far apart, and I was not dilated enough to start pushing. I was left to wait, with providers checking on me periodically to assess the situation. Many hours passed and before I knew it, I had finished watching my third sunset from my hospital bed on Wednesday, September 24th. I could no longer move my legs. The nurse came in to turn the Pitocin off around 7:30 pm. I thanked her tearfully. The onslaught of that drug can still be easily recalled by my body. The doctor came back in to tell me it was almost time to start pushing. I sent off my last few text messages to family and turned my phone off. It was around that time that the clock in the room stopped working. Little did I know then, how much that clock would matter to me. I believe I started pushing around 9:00 pm. My husband grabbed one leg and the nurse grabbed another and I proceeded to push. I had to keep my eyes closed for much of the time because I felt like they were going to pop out of my skull. Occasionally, I opened my eyes to see other assistants removing bloody draw sheets and replacing them with clean ones. I began to feel light headed and knew I was losing a lot of blood. I started to panic and felt like I was dying. The nurse placed an oxygen mask back on me and I could feel myself hyperventilating. I looked at the clock for some reassurance only to remember it had stopped working. I had no idea what time it was. The doctor monitoring my baby said his heart beat was slowing down and he needed to come out. It was explained to me that we might have to go the emergency C-section route. This created so much fear and I began to cry weakly. I had such a dry mouth. I was burning up and becoming feverish. My hair was drenched in sweat. The nurses kept replacing a cold towel on my forehead, which quickly heated up against my skin. I said I wanted to keep pushing and they conceded. One final push and I heard my baby screaming. The doctors called out time of birth as 1:12 in the morning of September 25th. I was stunned how much time had passed since the start of labor. Still wearing the oxygen mask, I cried tears of relief. I did it! I listened as the doctors were calling out his Apgar scores, all excellent. I was feeling extremely weak and lightheaded. I wanted so badly to sleep. At the same time, I felt strong and proud. I accomplished what I had set out to do. My body endured this trial and thrived and was strong. My heart withstood the endeavor of childbirth and as a result I brought a new person into this world. When I held him for the first time, I was content. Comically, he pulled off my electrodes on my chest. Although, I became temporarily anemic from the blood loss, my heart remained stable with no change. The week I completed this story, my son turned four. I can still hardly believe it. He is funny, strong-willed, and active. 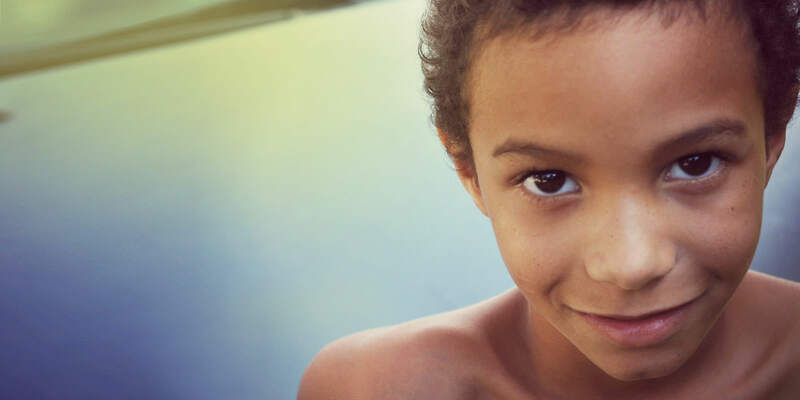 When I visit with my cardiologist each year, he reminds me that if I want another child, it is better to do so sooner rather than later given that valve replacement is pending in my future. For now, I am stable and thankful for no change each visit. 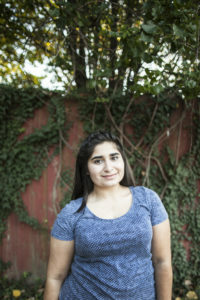 My name is Deanna Ashkeboussi and I am a proud CHD survivor with a history of AV canal defect and re-repair of AV valve. I had both my surgeries in Boston Children’s Hospital in the 90s. I moved from Massachusetts to Maryland when I was eight years old. I am a Speech-Language Pathologist, a wife, and a mother to a one human (Oliver) and two cats (Tibideaux and Jupiter). I am the youngest of three siblings and enjoy spending time with my family. I am grateful for all the medical providers who have helped me and inspired me throughout my life. Most of all, I am thankful for my parents who never stopped fighting to keep me alive. This week we will hear from Loryn McGill, a heart warrior, and mother. Loryn will share her experience with pregnancy, and discuss the challenges and beauty, of motherhood. Pregnancy is hard. Having a congenital heart defect (CHD) during pregnancy is even harder. I had suspected for a long time that something was wrong with me but every doctors visit told be otherwise. Always the same conclusion: I was not feeling well because of the stress from graduate school. My weight had increased significantly in a very short period of time and exercise became harder than it already was. I was told to eat less, exercise more and reduce my stress. After numerous normal ECG’s and blood tests I had no choice but to accept the results; I was a perfectly healthy. After graduate school I spent the summer traveling through Europe. In the Swiss Alps I began to experience heart palpitations, a new sensation for me. I wrote off this new feeling as the result of being at altitude, too much caffeine, and naturally nerves about going sky diving the next day. My symptoms worsened and continued over the next two days leading me to an emergency room in Austria where I was diagnosed as having heart palpitations and told I should see a cardiologist when I returned home for further testing. Upon returning home I was diagnosed with cor triatriatum (or triatrial heart). The rarest congenital heart defect where the left atrium (cor triatriatum sinistrum) is subdivided by a thin membrane, resulting in three atrial chambers. The membrane placement resulted in a seventy percent blockage for blood moving through my heart. I also had only one working left pulmonary vein and my pulmonary hypertension was at near fatal levels. I was twenty-three years old and had only days to process the fact that I was in heart failure and would need open heart surgery at the end of the week to hopefully save my life. The doctors were shocked and kept telling my family that they did not understand how I was still alive given the severity of my condition. During my recovery I was told that pregnancy would be impossible. My heart was damaged from operating under significant stress throughout my life. The increase blood flow demands of pregnancy compiled with my ongoing pulmonary hypertension gave me a high mortality rate. This came as very hard news to my husband (then boyfriend) and myself but there was nothing we could do to change the situation. We both knew I was fortunate to be alive and we focused on moving forward. 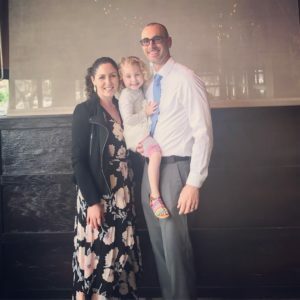 Nine years later at a cardiologist appointment I received the very unexpected news that my pulmonary hypertension was in the high normal range and that if we wanted to get pregnant that we were in a good window and should try. Not long after this exciting and shocking news I had to undergo a double mastectomy and reconstruction putting off pregnancy for over two years. The irony of the situation was not lost on us. My pregnancy was hard, really hard. My body let me know early on that it was not keen on the idea of hosting a guest. My pulmonary hypertension was slowly creeping up and at 24 weeks was at dangerous levels again. Discussions of early inductions, maternal death rates and heart function were the norm at my three time a week monitoring appointments. I never needed to be formally placed on bed rest because my mobility was so restricted due to my heart function and swelling. At 37 weeks I was induced with the knowledge that I would be allowed to labor as long as my heart tolerated but at the first sign of distress for myself or my baby would lead to an emergency cesarean. I easily labored and the moment I gave birth was the best I had felt in months. I thought that my heart troubles were over and I would soon be returning to ‘my’ normal. It has been almost four years since the pregnancy and my heart function has significantly changed. I now have premature atrial contractions (PAC), premature ventricle contractions (PVC), tachycardia, and arrhythmias. I am on medication for the first time in my life and my doctors and I are discussing what the next steps will be as my symptoms are progressively worsening. My daughter and I recently went to the heart walk in Orange County and she kept asking if everyone else there had a silly heart like Mommy with a cool scar. She comes with me to my doctor appointments, wants to know why she doesn’t have a scar, and also questions why I can’t go faster sometimes. Despite the physical and mental challenges of living with a heart defect I am grateful for the experience and the opportunity to be a Mom and watch my husband be a Dad. I don’t know what my future holds but I know it includes big blue eyes, blond curly hair and endless hugs from the people I love. Loryn McGill M.S. CCC-SLP is a Speech-Language Pathologist and Professor who specializes in the treatment of stuttering. She lives in Irvine, California with her husband and three year old daughter. She loves to explore new cities and in her spare time enjoys cooking, snowboarding and sailing. Our hearts dropped. Surely, there was a mistake. He referred us to see a Pediatric Cardiologist for a definitive diagnosis. Two days later we were at UNMH, with Dr. Goens, doing another ultrasound. Afterwards, she told us our baby girl had Hypoplastic Left Heart Syndrome (HLHS). After many discussions and many, many, questions to Dr. Goens and one of her nurses, Pamela, we were going to Children’s Hospital of Colorado to have our first baby. We were to live there through her first two planned surgeries, for about six months. We closed our restaurant on June 30, 2017. I was flown up to Denver on August 11, while Gary drove with my mom in our fully-packed car. Katherine was born on Monday, September 11, 2017. I got to hold her for about one minute, before they took her away to do an echo and get the umbilical lines in. She slept for about three days, because of the medicine she was on, and had her first open-heart surgery when she was four days old. She did great. She had a rough first night post-surgery, but her recovery after that night went really well. She is a fighter! We lived in the hospital with her for three weeks. We took her “home,” to the Ronald McDonald House, on October 6 and struggled with her eating until January. Before her planned second surgery, we were re-admitted to the hospital three times; once for an irregular EKG, once for blood in her stool, and once for her low/almost no weight gain. We fed Katherine every three hours, religiously, for four months. 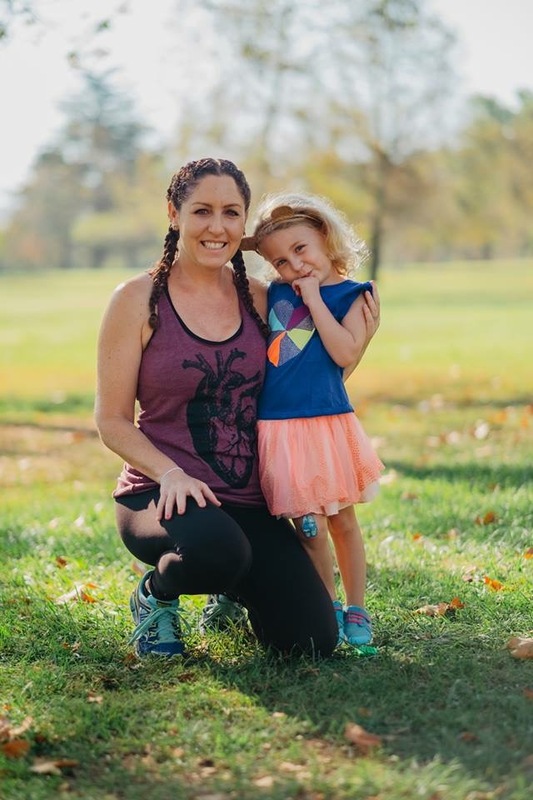 Katherine had her first Cardiac Cath just after Thanksgiving, where they determined she needed a stent in her BT Shunt (that was put in during the Norwood, first surgery). 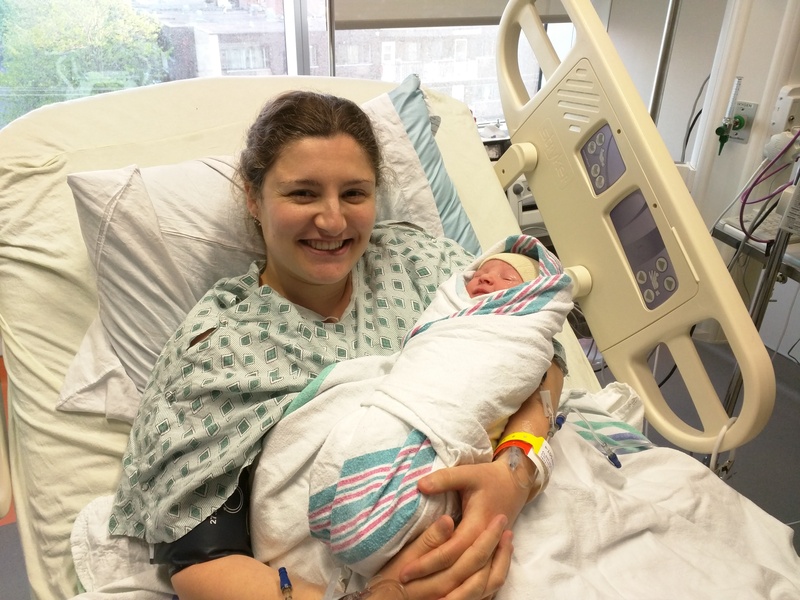 Katherine then had her Glenn procedure on January 17, 2018 and woke up a different baby! Her first bottle after the surgery was almost four times what she was eating before the surgery. She was awake, alert ,and wanted to play and eat! However, she was not able to keep her oxygen level up in the good range, so she had another Cardiac Cath; they determined she needed a stent put into her Inferior Vena Cava (IVC). We got to take her home, to Albuquerque, on February 7, 2018. 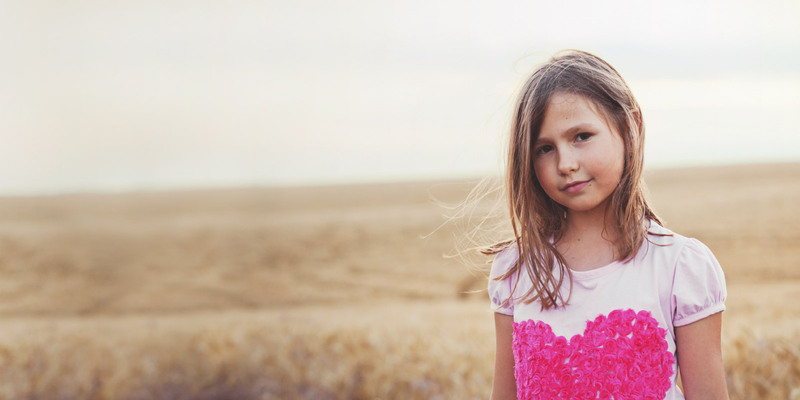 During the last Echo in Colorado, the doctor found that Katherine’s Tricuspid Valve was moderately leaking, but they would keep an eye on it and determine what needed to happen down the road. We made one more trip to Colorado for a Cardiac Cath in May of 2018, where they put a stent in her Left Pulmonary Artery. Since we’ve been home, Katherine has been having a great time. She loves to play and laugh, and she is pulling herself up on everything now! It won’t be long before she’s walking! 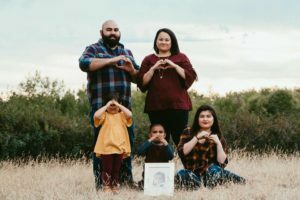 As young women with CHD, female patients are often cautioned against the idea of pregnancy, as they start to explore the idea of building a family. This October, we will hear from strong, CHD warrior women, as they share their miracle birth stories. Today, Anik Grenier shares the journey she and her husband took to create their family. Living with CHD, Transposition of the Great Arteries (TGA) in my case, has brought on a unique set of challenges. I had a fairly normal childhood in the Ottawa region with minimal cardiac issues until my junior year of high school, where I developed neurally mediated hypotension (NMH) as well as tachycardia and bradycardia. In 1988 when I was about 4 months old, I underwent a corrective surgery known as the Mustard procedure in Toronto. It had been the most common treatment for TGA since the mid 60s, but as I approached adulthood, there was not much information available regarding the possibility and effects of pregnancy for someone with my condition. At my last pediatric cardiac consultation, I was therefore advised against having children naturally. As a 16 year-old who had always wanted to be a mother, the news was a hard pill to swallow, especially after the rough time I had had in recent years with NMH. 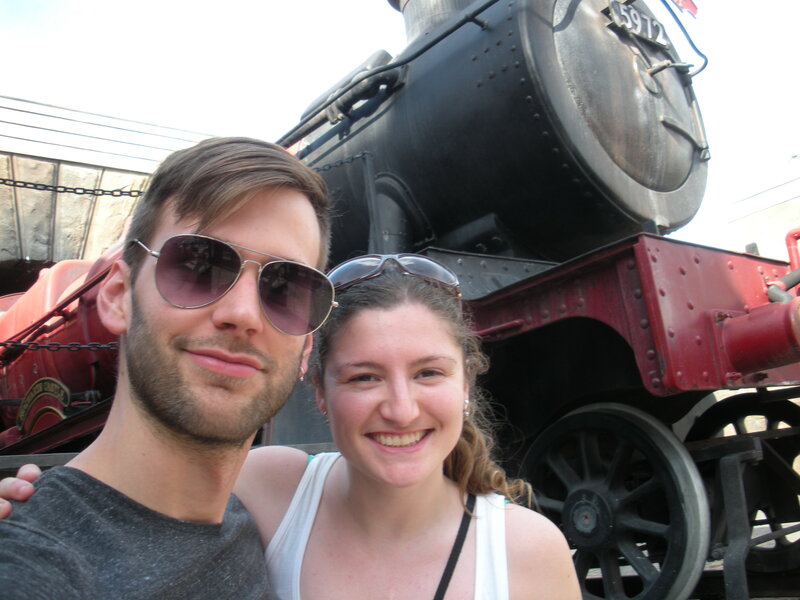 When I met David the following year, it became clear fairly quickly that we were in this for the long haul. From the beginning of our relationship, I was open with him regarding my CHD and its possible repercussions. He was always very supportive and told me that there are different ways of becoming parents, if we chose to down the line. Shortly after, we moved into our first apartment in Montreal and started university. Because NMH and arrhythmias were still causing me issues, I came to the conclusion that my chosen career path in forensic anthropology would not be realistic so I quit school with a heavy heart and went working as an administrative assistant while I figured out what I wanted to do. Eventually, my NMH symptoms virtually disappeared and I underwent a successful ablation to treat both arrhythmia’s. I felt as though I had found a new lease on life, and decided to go back to university, majoring in teaching French as a second language. At this point, I was healthy and David and I we were starting to talk about an engagement and starting a family. At my following cardiac consultation with my ACHD cardiologist, I asked my doctor about the possibility of pregnancy. To our great relief, we were told that I would need to do a complete assessment of my heart function (including an MRI, a stress test, an echo-cardiogram and blood work) but that if nothing worrisome came up, it would be possible while being closely monitored. Nothing of note came out of the evaluation so we met with a maternal fetal medicine (MFM) specialist who explained to us the risks involved for myself during pregnancy as well as the risk of passing on a CHD to our children. In our case, since the risk was only a few percents higher than that of the “general population”, David and I we were comfortable with me carrying our children. 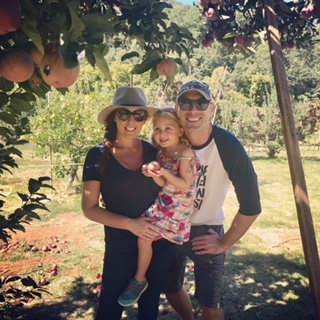 The first time I became pregnant, we went through the normal scope of emotions for future parents: we were elated, scared, nervous and wondered how my heart would cope. A few weeks later, shortly after our wedding day, I had a miscarriage 8 weeks into the pregnancy. We were devastated. At the time, I was really angry at my body, at myself for having a CHD and it took me a long time to come to terms with this. Over the next year, I had two more miscarriages, both around 8 weeks as well. The fourth time I became pregnant, we expected the worst again. But then, it was the end of the first trimester, further than all previous pregnancies, and this little one was still hanging on. We had our first prenatal OBGYN appointment and all seemed fine, there was a heartbeat. We became cautiously optimistic. I was followed at a high risk OBGYN clinic so I had multiple ultrasounds as well as echo-cardiograms every trimester for myself and one for the baby, but overall, it was a “normal” pregnancy. I delivered a heart healthy baby girl in the cardiac care unit as a precaution after a relatively quick natural labor, but my heart handled it very well. In my post-partum cardiac evaluation, it was shown that my heart function had actually improved and was therefore given the go ahead to have more children. 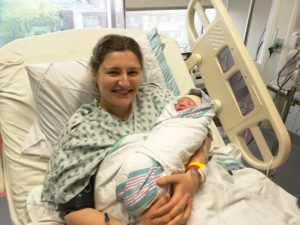 Having read many birth stories of women with CHD, I was pleasantly surprised that this was the outcome, as I knew that it is not always the case. My fifth pregnancy was very similar, although I was more confident about its success this time. I was again followed at the high risk OBGYN clinic with the same doctor but I only had one echo-cardiogram as my heart was coping well. I had another natural delivery in the CCU as a precaution without ill affect on my heart health. David and I feel very fortunate to have been able to go through these experiences, as hard of a journey it was, especially because many couples in our position do not have the opportunity. We are very grateful for our little family and that our daughters, now two years old and 6 months old, are healthy, happy and discovering the world. Anik Grenier grew up an only child in a bilingual household in the NCR of Canada. Having a passion for all things artistic, historical and cultural, she attended university in Montréal, majoring in teaching French as a Second Language. She now lives in Montréal with her husband David and her two daughters, Zora and Tali where she teaches FLS at the elementary level.